Indiana law generally presumes following a divorce each spouse will work and support him or herself after the marriage has ended. However, there are some exceptions, and in these cases, spousal maintenance is granted. Courts are more likely to grant temporary spousal maintenance during the interim period between when divorce is filed and when it becomes final. This is the provisional period, and temporary maintenance is rather common. Less common is an award of spousal maintenance after a divorce. In order for the court to award spousal maintenance, the law requires certain criteria, as set forth in Indiana Code 31-15-7-2, to be met. Primarily, the court considers whether the receiving spouse is physically or mentally incapacitated to the extent his or her ability to self-support is materially affected. 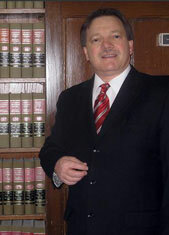 The court may also consider the spouse’s lack of sufficient property to provide for his or her needs, the custody of an incapacitated child requiring him or her to forgo employment as well as the educational level, earning potential and the amount of time necessary to seek and acquire sufficient training/education to become self-sufficient. Usually, most spousal maintenance awards granted post-divorce won’t extend beyond three years, though there are sometimes exceptions. In the recent case of In re Marriage of Gust, the Iowa Supreme Court affirmed a determination by a lower court of lifelong spousal maintenance payments. Our Lake County divorce lawyers know such findings are not the norm, but it’s not outside the realm of possibility in some cases. In the Gust case, a district court divorce decree required ex-husband to pay traditional spousal support in the amount of $1,400 monthly – as long as he was also paying child support for his young son. The court ordered that when child support payments ceased, he was to begin paying his ex-wife spousal maintenance of $2,000 monthly for the rest of her life. He filed a posttrial motion seeking to modify that order, asking that the spousal award payments start at $2,000 monthly and be eventually reduced to $1,000 and be given a set termination date upon his retirement. District court denied the motion and he appealed, arguing the award was excessive both in duration and amount. The court ruled in a finding later affirmed by the state supreme court that the finding was appropriate in this case. According to court records, the pair were married in 1985 and had two children. At the time of trial, those children were 21 and 17, while the couple were in their 50s. Husband was a general manager at a construction firm, earning $92,000 annually. In addition, he and his ex-wife had owned a house-flipping business. Part of the reason the company was so successful was husband was certified to conduct lead abatement. Husband state he no longer wished to do that kind of work. However, he and his new girlfriend founded a new company that did carry out lead abatement work. Additionally, prior to his resigning from the company he owned with his ex-wife, he withdrew $65,000 in company funds to pay credit card debt. Meanwhile, ex-wife testified she was 52, lived in a rented townhouse with her 17-year-old son, had a two-year community college degree she earned long ago, worked as a secretary decades ago, but largely took care of the home and children until 2008, when she worked with her husband at his firm. At the time of trial, she was working two part-time jobs earning $15,000 yearly. She receives no benefits from these jobs. Her ex-husband argued she had an earning capacity of $31,000. The court found this to be overstated, though it also found her monthly living expenses at $4,600 were overstated. Instead, it found her monthly expenses were at $3,800. Thus, given her age, work experience and earning capacity, the monthly support payments were set at $1,400, to increase to $2,000 once she stopped receiving child support. Given the circumstances, the state supreme court found this a fair determination.